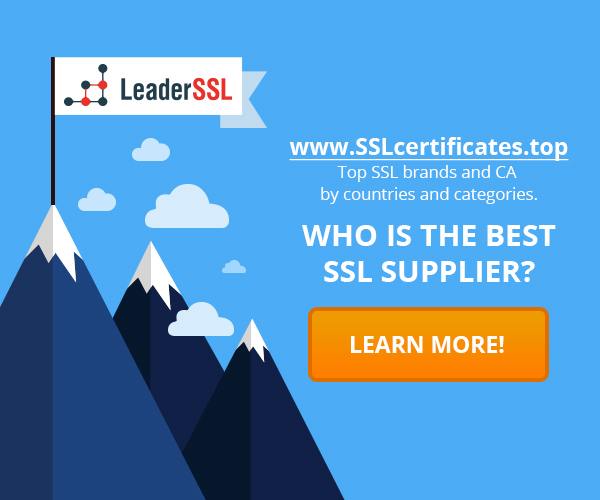 Home › What is an SSL-Certificate › What is a Certificate Authority (CA)? Certificate Authorities, or CAs, are authorities involved in the issuing of the digital certificates. Digital certificates are small data files that contain identification information for the purpose of authentication of people, sites or devices. Checking the authenticity of the information is performed by a certification authority. CAs are in charge of how the Internet functions, how transparent and secure are transactions in the network. CA issues millions of digital certificates each year, and all of the issued certificates can be used for the protection of information, protection of billions transactions, as well as maintaining secure communications sources. One of the most popular type of digital certification is the SSL-certificate. It binds information about the owner of the web server (and website) to cryptographic keys. Subsequently, these keys are used to implement SSL / TLS protocol to enable encrypted session between the browser and the web server on which you’ve installed the SSL-certificate. SSL-certificate needs to contain the domain name of the site, it has to be issued by a trusted certificate authority, and should be valid – otherwise the browser will not trust the certificate and display a safety notification. SSL is the one of the most popular security technologies nowadays. Currently, there is a small number of authorized certification authorities that are trusted by major browsers, operating systems and mobile devices. The longer certification authority exists, the more browsers and devices will trust their certificates. An applicant for a certificate needs to proceed through various validation procedures, which are initiated by a certification authority. Depth of these tests depend on the class and type of certificate that you want to release. For example, SSL-Certificate checks for domain (DV) will verify ownership of the domain, while the EV SSL-certified will require additional in-depth verification of the company information. In case if company credentials will be successfully verified, it will then be included in the certificate. Following are the most recognizable Certificate Authorities on the market – RapidSSL, Comodo, GeoTrust, Thawte, Symantec, Entrust. They are recognized by 99% of modern web browsers. Browser will not generate any errors when connecting to the website, protected by certificates from the specified CA. ‹ What is an SSL-certificate?